You are here: Home > COMPETITION: Win a copy of Unstoppable! Would you like to get your hands on Dan’s new book, Unstoppable? Toppsta, the online community where children review books, is running a giveaway to win a copy! If you’re not familiar with Toppsta, it’s a website set up by mum of two, Georgina Atwell who wanted to provide a better way for children and parents to find great books. Realising that the best people to make recommendations, were children themselves, she set up the website from home in 2014 and it now has over 40,000 book reviews from real readers just like you. 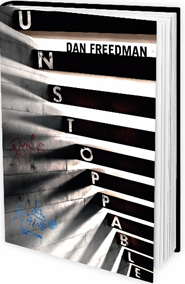 So head on over to the website where you can read and write reviews for Jamie Johnson, check out Dan’s author page and enter the giveaway to win a copy of Unstoppable. It’s free to register and there are no photos, no real names and no forums. 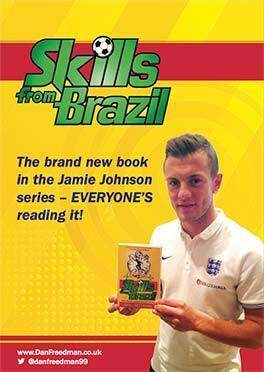 ← Dan Joins Forces With Footballer To Launch Unstoppable!